Hi. I want to know, where I can find results of 2 dark bouts (Diaz - Reyes and Pacheco - Juarez). 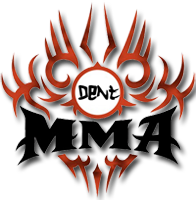 No data on Sherdog or MmaMania or other sources. According to competition results you have info about these bouts. Can you tell me - from where? Thanks. ..::UFC 229 - Khabib vs. McGregor Competition Winner::..
..::UFC 170: Rousey vs. McMann Competition Winner::.. Thanks, but there were no data on Wikipedia (such as on Bellator site) at the time when you published competition results. I checked it yesterday.